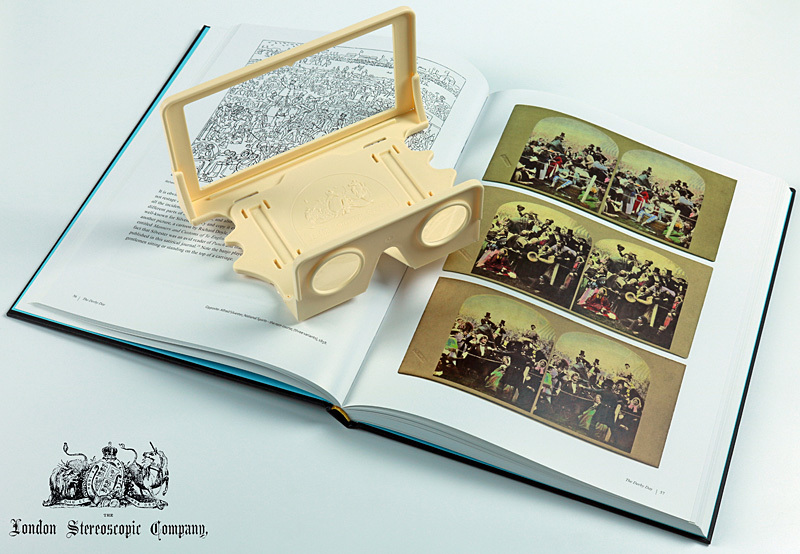 Explore in full 3-D the artistic world of the Victorian era and discover how photographers re-staged for the stereoscope popular paintings of the time that are now nearly forgotten, book illustrations, and even cartoons found in the satirical magazine Punch. 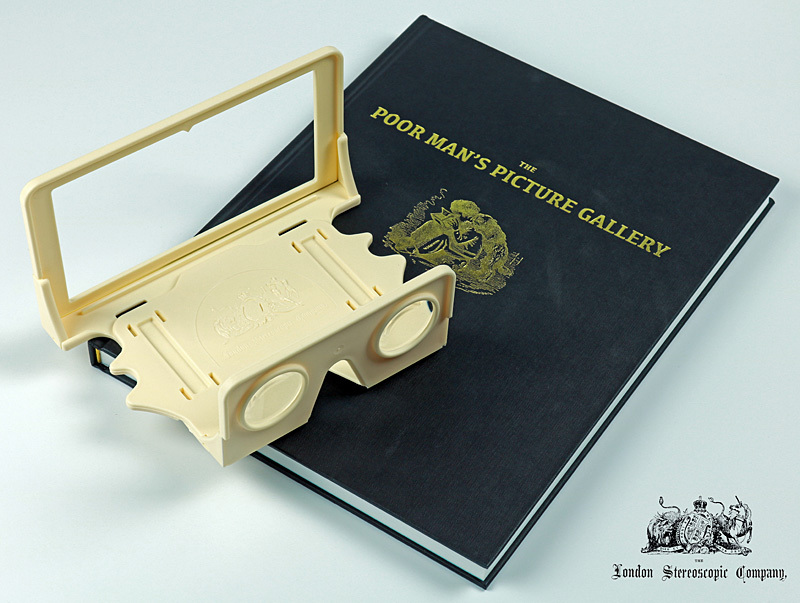 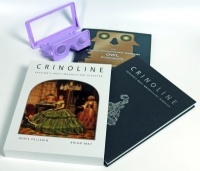 The book comes with an ivory-coloured Owl viewer. 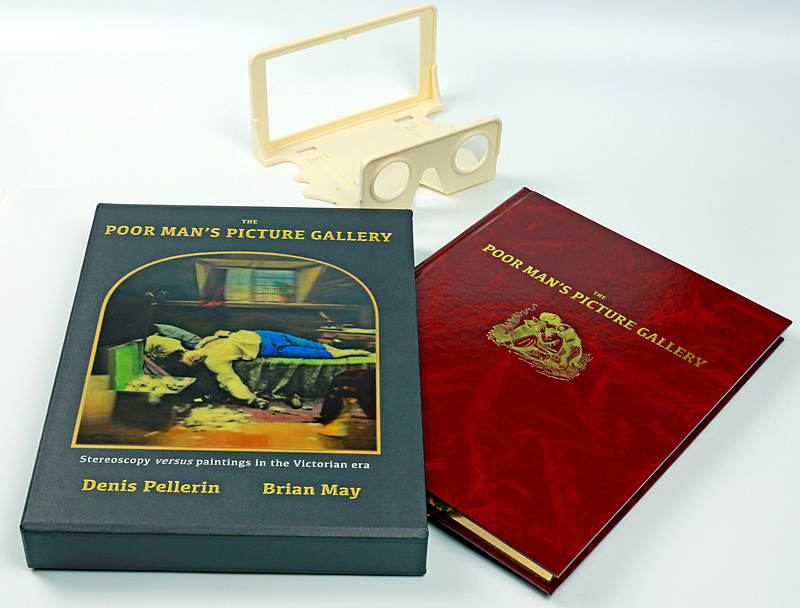 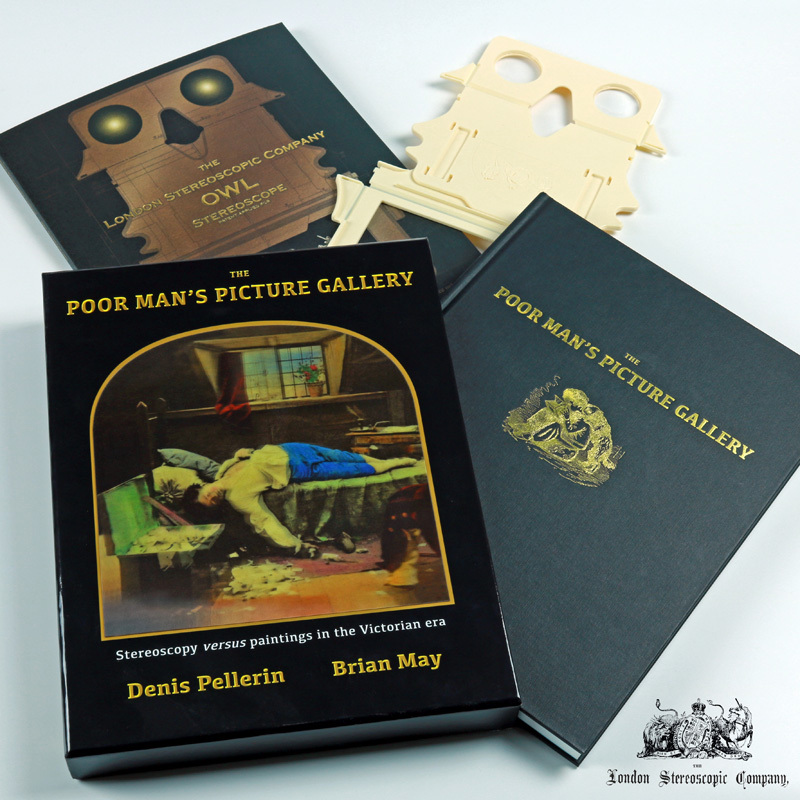 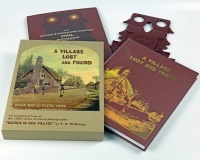 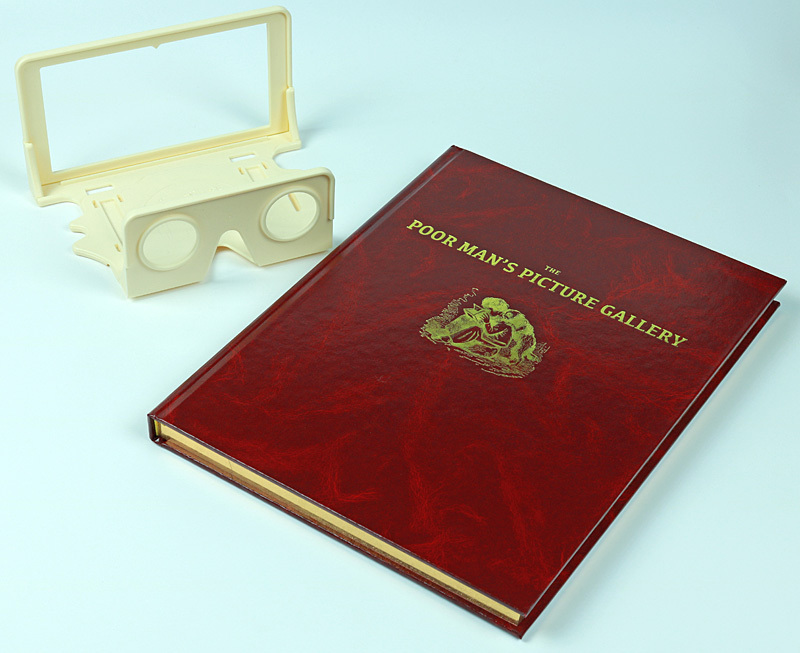 Those wishing to purchase a copy of the limited Collector's Edition of The Poor Man's Picture Gallery (only 100 printed) will get a volume, bound in gold-tooled dark red faux leather with gilt-edged pages and a ribon page marker, encased in a wibalin covered slipcase which also contains an ivory coloured Owl viewer in its envelope. 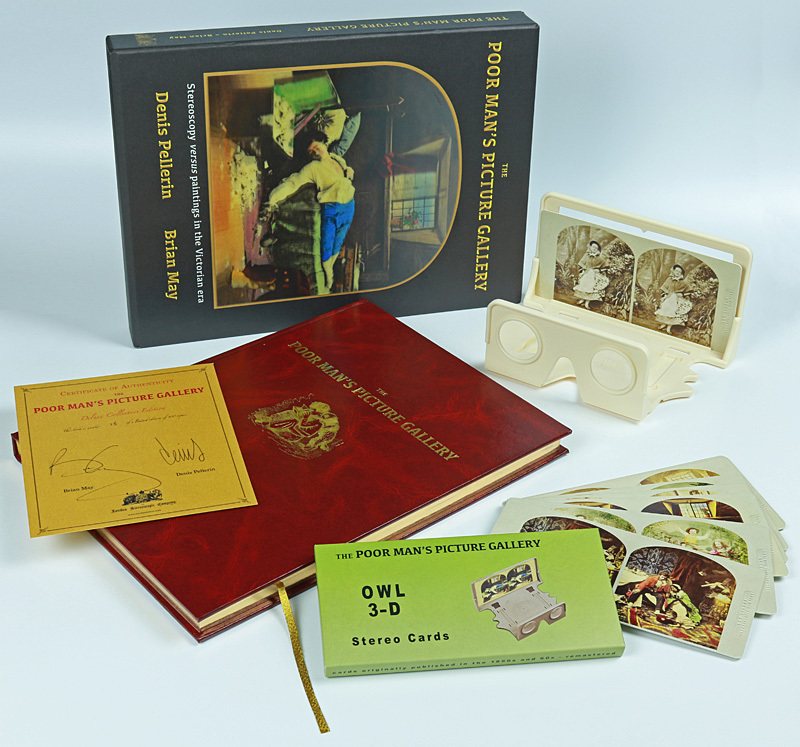 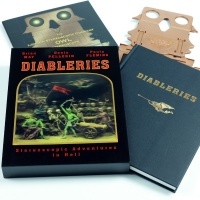 Also provided with the book are a numbered certificate of authenticity signed by the two authors and a pack of Poor Man's stereoscopic cards reproducing the images that figured at the exhibition held at Tate Britain in 2014-15.